Early 20th century leather postcards. Leather postcards first appeared in America in 1903. 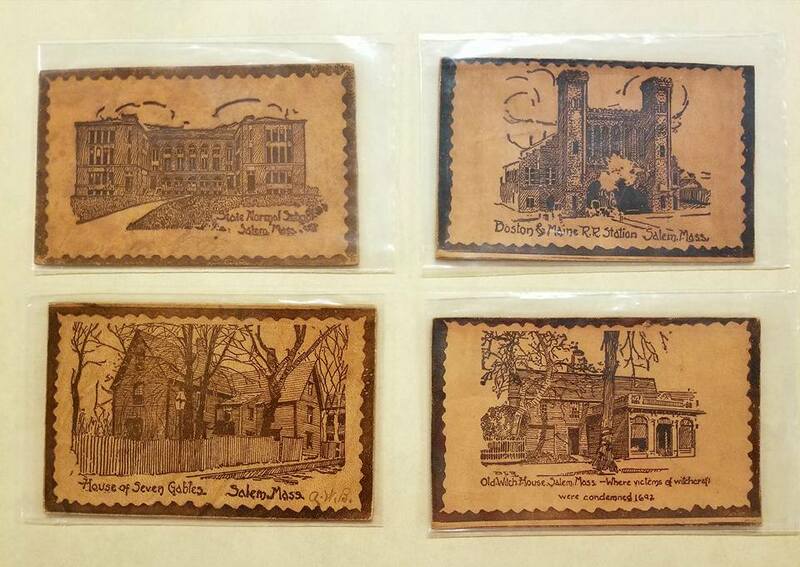 Made of burned and inked deer hide, these postcards were unique in that they could be sewn together to make decorative wall hangings, pillowcases, and other souvenirs. 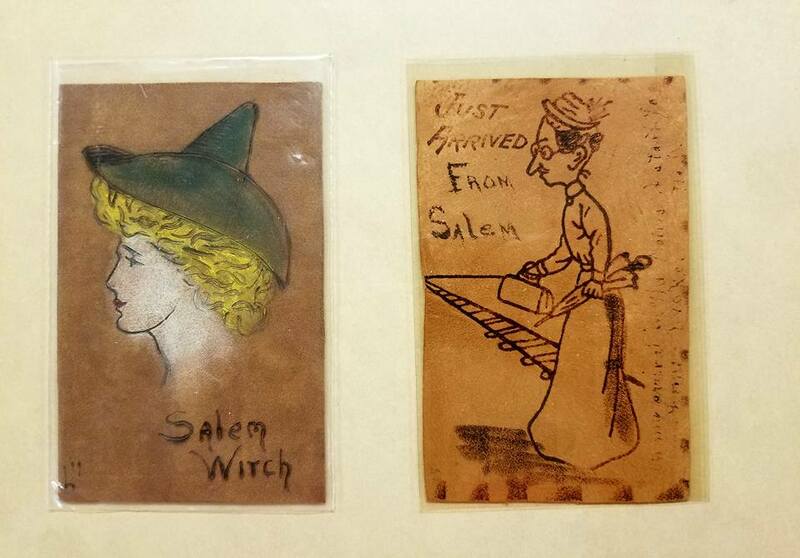 Leather postcards were sold in Salem and depicted similar scenes to their paper counterparts, such as historic landmarks and witch imagery. This fad was short-lived. In 1907, the U.S. Postal Service banned leather postcards due to issues they caused with sorting machines and the public's continuous use of improper postage. Despite being banned, these novelties were still sold until about 1915.